At First Focus, we like to say budget’s are about priorities. That’s why we advocate to make children and families the priority in federal policy and budget decisions. 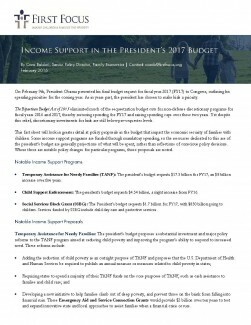 President Obama recently released his budget request to Congress for the upcoming year, outlining his spending priorities. 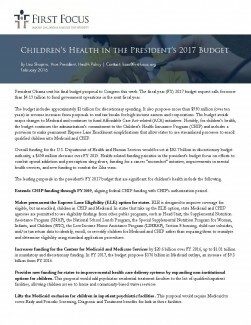 As in years past, the president has chosen to make kids a priority. It’s important to recognize that the president’s budget represents the administration’s wish list of priorities and not the force of law. 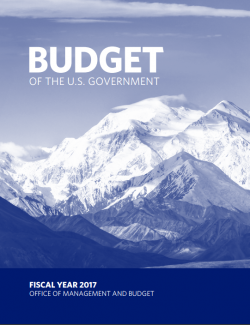 It provides a blueprint for Congress to consider as it begins the process of allocating federal dollars. Every child deserves the opportunity to grow-up health, happy, and well educated. 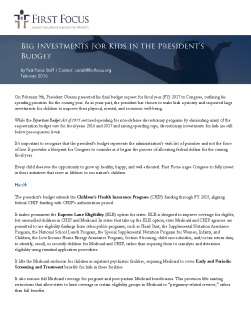 That’s why this year’s budget series analyses the many initiatives that serve as lifelines to our nation’s children, many of whom are at risk because of our fiscal situation. 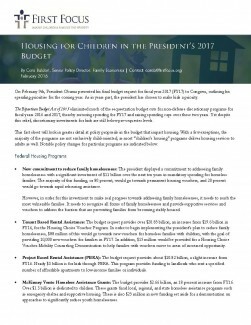 This fact sheet looks in greater detail at policy proposals in the budget that impact housing, including programs inside and outside the jurisdiction of the U.S. Department of Housing and Urban Development.